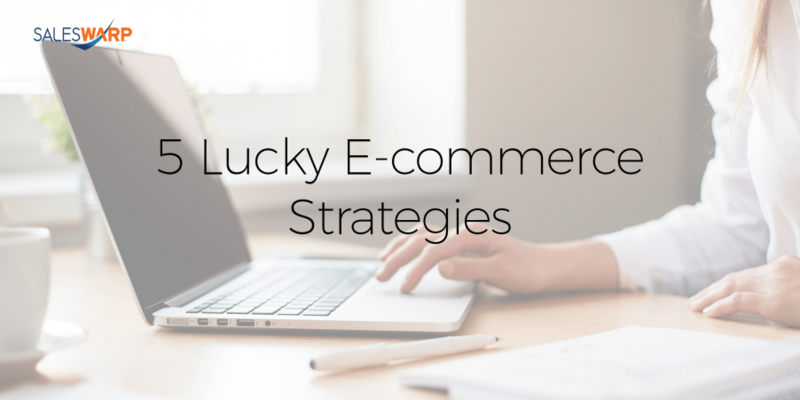 Getting lucky in e-commerce doesn’t mean sticking with one strategy forever. As technology continues to change the way we shop, it’s important to keep up with the latest strategies in e-commerce. Online retailers can take advantage of optimizing their sales channels based on changes in consumer behavior. Start feeling lucky on Saint Patrick’s Day with five e-commerce strategies that will help you gain new customers and improve your sales beyond March. Why limit your customer base to just your brick-and-mortar store and website? Diversifying your sales strategy can help you reach an even larger audience by selling your products on different marketplaces. 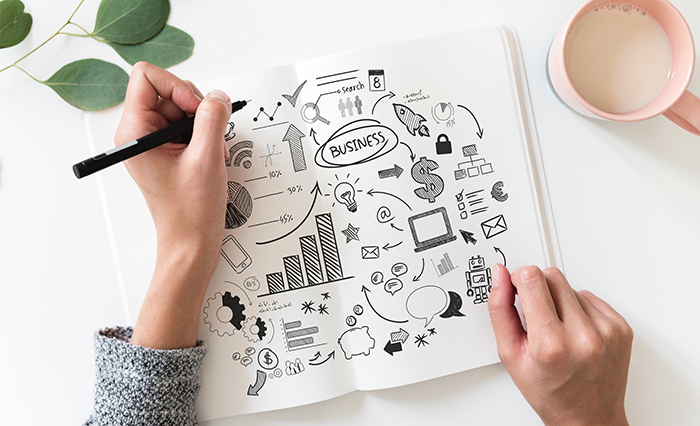 By creating a multi-channel business model you will be able to increase your brand’s exposure and interact with customers at multiple touchpoints. Marketplaces like Etsy, Amazon, and Walmart can create a seamless process for your target customers along with new ones. SalesWarp can make multi-channel management an easy process by consolidating your sales channels into one system, providing you with a rare glimpse into the performance and operations of your business. With more retailers increasing their stock to meet the demands of customers, having a dependable order management system can provide you the tools to build loyal customers with cutting edge commerce and operations software. Having to wait more than five days for a product can place your business behind competitors. We are currently in a ‘need to have it now’ era from a new expansion of fulfillment options, so delivery has to be fast if you want to keep the loyalty of your customers. Shipping is the easiest way to set yourself apart from other retailers, whether you offer same day pick-up in store, free, or next day shipping. Giving your customers different fulfillment options allows them to have more control over their experience which can make your business more trustworthy and create a better shopping experience. Providing more options to customers may also create a complex process as well, which some retailers have yet to fully grasp. Having a full view of your inventory is a necessity for modern retailers to offer more delivery options, inventory is considered an asset to the business not just a random category on a balance sheet. Using a modern inventory management system can help you avoid overselling your products and allow customers to receive products on-time thanks to having accurate inventory data for each sales channel. Your company may have the best product in the world but if you can’t make it relevant to your target customers you may be losing business. E-commerce personalization creates a unique experience for customers based on their purchase history, location, demographics, or a mixture of all the above. With relevant products suggested to customers through email campaigns or just by visiting your website, customers are less likely to abandon their carts and are more likely to shop again. By personalizing your marketing and sales strategy with relevant offers and displays you are creating an easier and fast shopping journey for your customers. To create a personalized experience you need to have accurate data from your customers, without knowing the purchase history, location, and demographics of your customer you may be wasting time coming up with a strategy. With SalesWarp you’ll be able to have access to detailed order histories for each customer from any sales channel, allowing you to create more accurate and winning strategies against competitors. Creating a rich and detailed product catalog is part of your largest unique selling proposition. Don’t turn potential customers away by having outdated and poor product management. Using the right keywords and categories can save your customers the headache of not finding the products they want. Keeping products up to date across your sales channels can be time-consuming but by choosing the right product management tool you can easily update product attributes along with simple import and export tools for each sales channel in one window. It’s no secret that many people have turned to mobile shopping so it’s a good idea to have your e-commerce site optimized for the mobile shopping experience. Many retailers confuse digital shopping and mobile shopping, how we shop on laptops and tablets may be completely different from viewing products on our smartphones. Paying close attention to loading speed and payment options can make or break the deal for some customers. If your site loads too slow or has limited payment options, your customer may bounce from your site onto the next. With SalesWarp’s fully integrated solution you’ll have access to leading e-commerce platforms like Shopify, Zoey, and Magento that can optimize your site for better mobile performance. Our team of experts can provide website design and recommendations that are unique to your business. If you want to see how your store can benefit from these strategies, schedule a demo and learn why SalesWarp is one of the top e-commerce management systems designed for any industry.